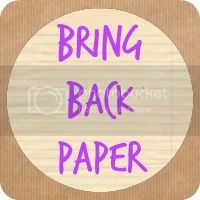 Share the post "Writing Sets Guaranteed To Get You Snail Mailing"
This month’s #BringBackPaper activity is all about sending a little snail mail this month and brightening someone’s day with a surprise note. It’s been lovely to hear that so many of you plan to get involved and I’ve already seen a few papery packages going out, which will no doubt be putting smiles on the lucky recipients’ faces. To encourage you to get involved, I’ve shopped around to bring you some of the prettiest and most irresistible writing sets and note-cards, which are guaranteed to get you snail mailing. I know, I do put myself out for you guys. If none of these tempt you, nothing will! So which one would you go for? Or are you like me and you simply want them all?! Writing sets and note cards are my stationery weakness, I know that. I love notepads, pens, washi tape, planners and plenty more, but it’ll be the writing sets that get me every time and so I have a fair few. Which means I need none of these. But I want every single one of them. Oh, and I’m currently hankering over a wax seal set, as surely snail mail needs a finishing touch like that? Don’t miss my posts on Getting Started with Snail Mail, Snail Mail: What to Send and How to Make a Pocket Letter. Oh you have some lovely choices of stationary there, I’m really tempted. I think I may have to try a stationary subscription box. I want paper now! You need stationery in your life!! What beautiful writing sets! I have to admit, while I love a fancy writing set, I love the note cards from The Works too! Ah yes, they have some lovely ones in there.